As everyone knows, the little boogeyman lives in the hamper in his friend Mylene’s closet. Ndbag invites you to join him in his little nook on the internet, his online hamper, and to get to know him and his friends. 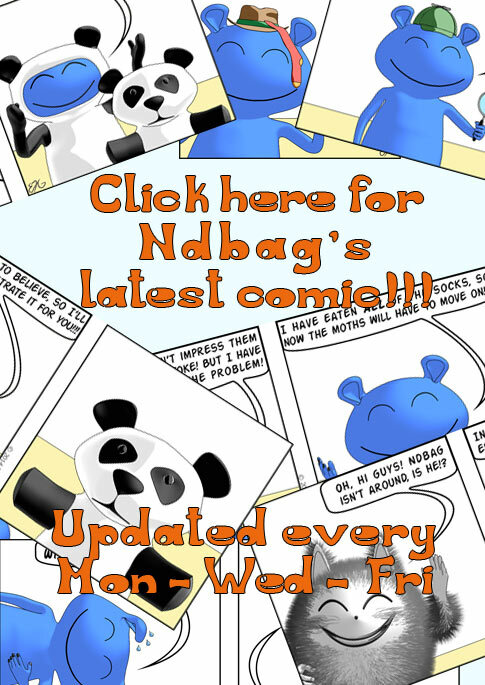 Read Ndbag's cute web comic strips full of pandas, cuteness, socks, and silliness, catch up on the latest boogeyman news or download cute wallpapers, avatars etc. to “sock up” your computer. 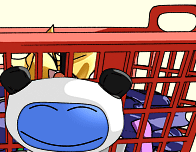 And don't forget to check out his crafts projects and fun little games and have a generally pandatastic time. Or, as Ndbag might put it: Grab a sock and get comfy! ZK has no idea where Ndbag is. ZK asks a searching question! Ndbag would love to visit Easter Island! Easter is serious business on that island! Easter Island must be an amazing place.